Not that long ago, Toronto was being mocked as the worst sports city in North America. Well, in recent years we’ve had two exciting Blue Jays playoff appearances (though I fear we won’t see that again for a while), a resurgence of the Raptors and a rebirth of the Maple Leafs. 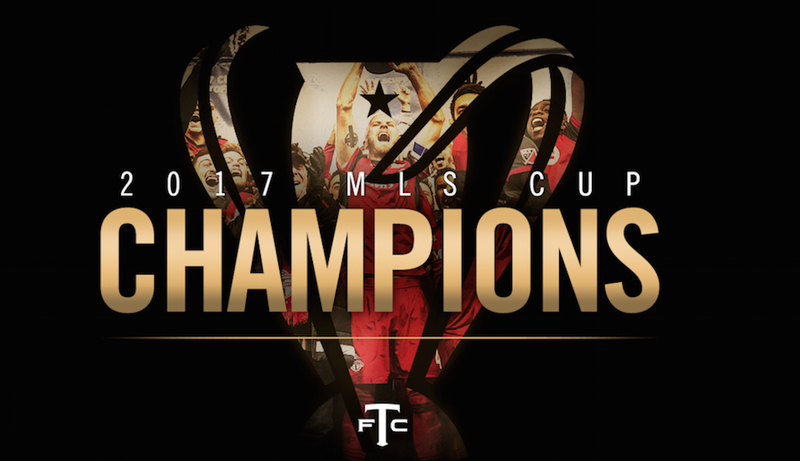 And now, within a two-week span from November 26 to December 9, a Grey Cup championship by the Toronto Argos and an MLS Cup win by Toronto FC. This was when my parents grew up. 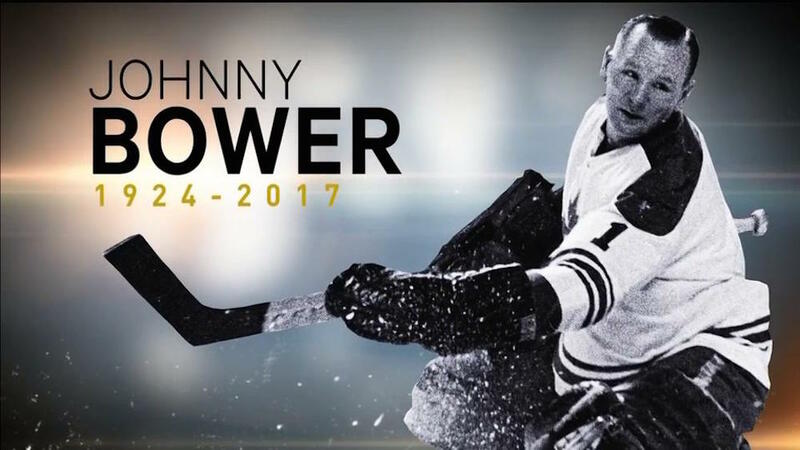 I know it made a big impact on my father, and I’m sure it’s a big reason why sports still runs so deep in my immediate family. I mean, there’s never really been another run like it in all of Canadian sports. 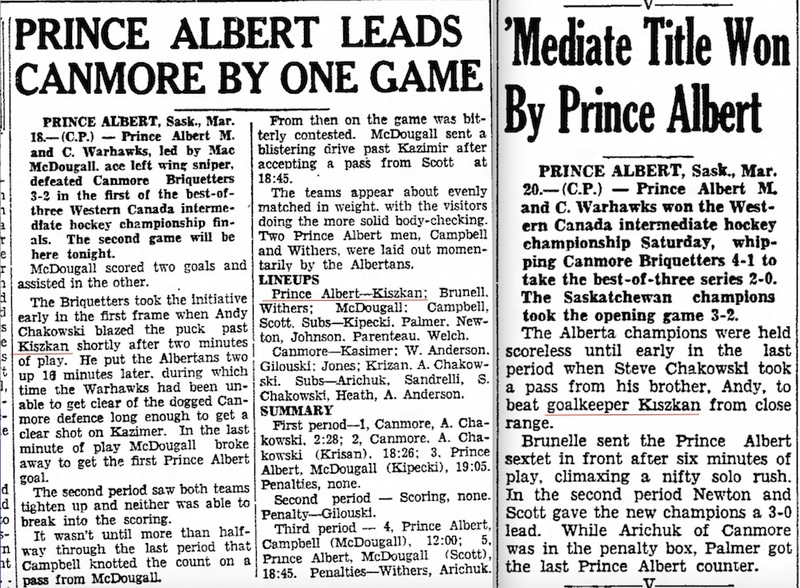 Even when the Edmonton Eskimos and Edmonton Oilers were winning all those championships between 1978 and 1990 (and there were 11 in total – although it took them 13 years to do it) the only time they both won in the same calender year was 1987. Toronto did it in 1945 and 1947. 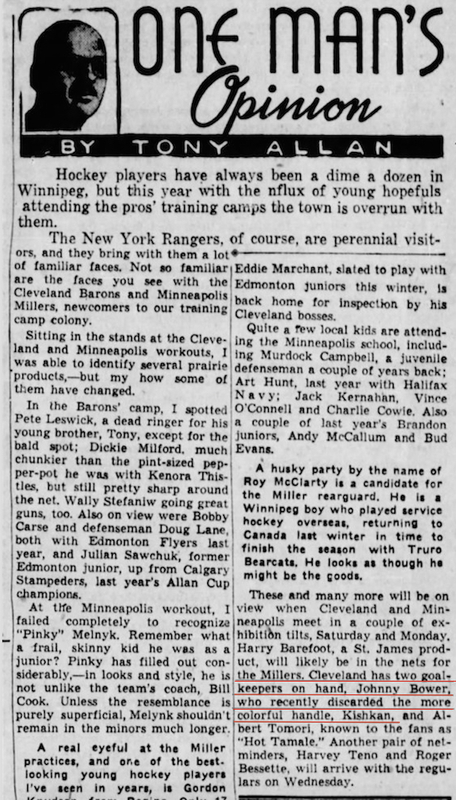 Montreal comes out on top in terms of twin NHL and CFL titles, although even with their 24 hockey championships dating back to 1916, the only years in which the Montreal Canadiens won the Stanley Cup and a Montreal football won the Grey Cup in the same season are 1931, 1944 and 1977. 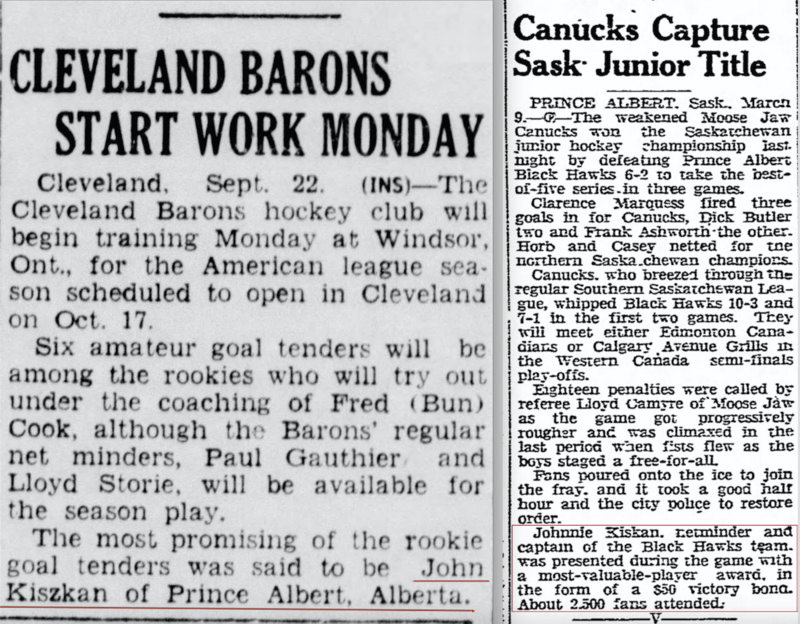 Ottawa almost joins the list of twin wins with Grey Cup victories in 1925 and 1926 and the Stanley Cup in 1927. Toronto doesn’t have a monopoly on this. Montreal has done it too, but not nearly as often. 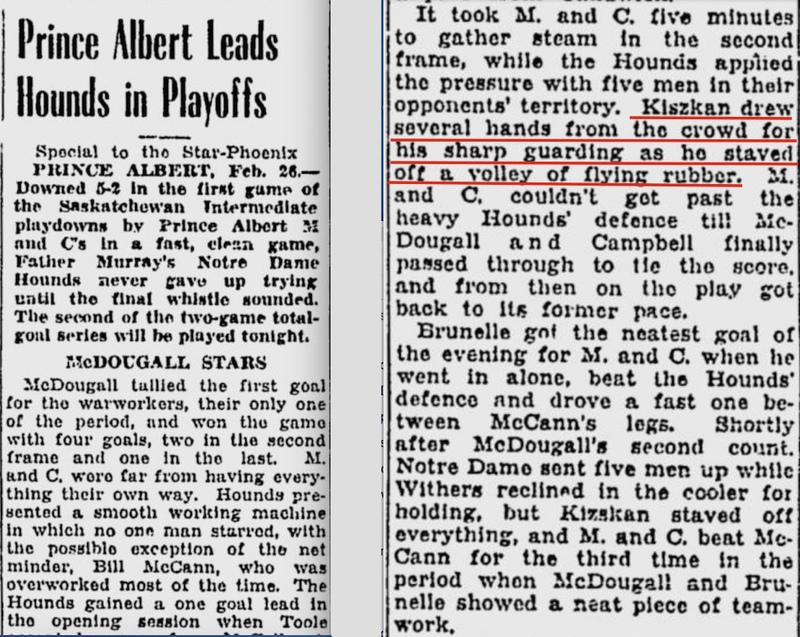 Once again Ottawa comes pretty close, with the Senators clinching the Stanley Cup as champions of the Eastern Canada Hockey Association on March 3, 1909 and the Cliffsides being awarded the inaugural Allan Cup on March 6, 1909 only to lose it to Queen’s University in the first challenge match nine days later. If anyone’s aware of any twin wins I’ve missed, please let me know! I thought this story would be quick and easy. But I was wrong. A week ago, on November 29, a statue of Jackie Robinson was unveiled at the Rose Bowl in Pasadena, California. 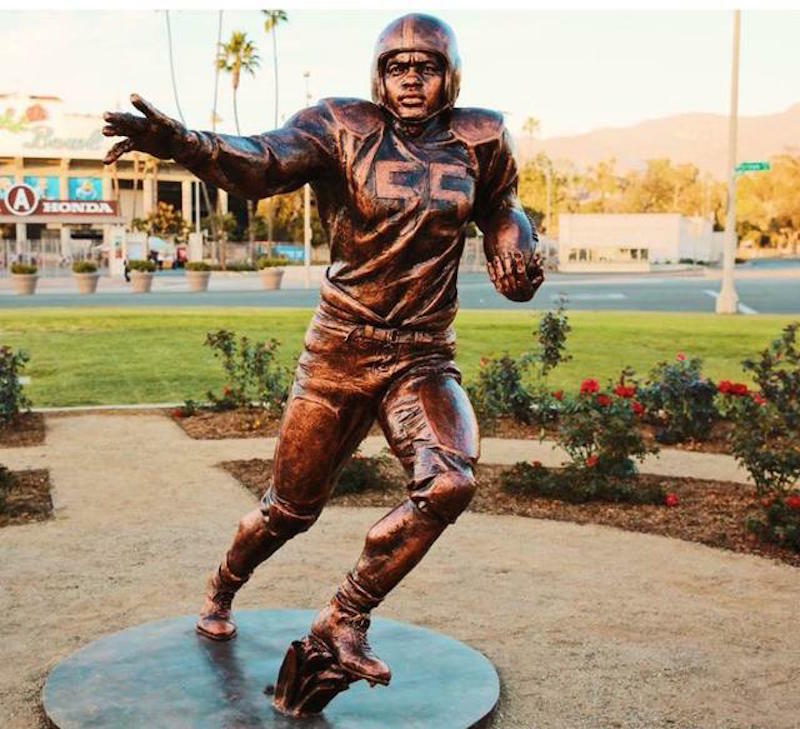 What makes this new statue different from others commemorating the man who broke modern baseball’s racial barrier is that this one honours Jackie Robinson’s contributions to football in Southern California where he grew up. Jackie Robinson wearing the #55 he sported while starring at Pasadena Junior College. 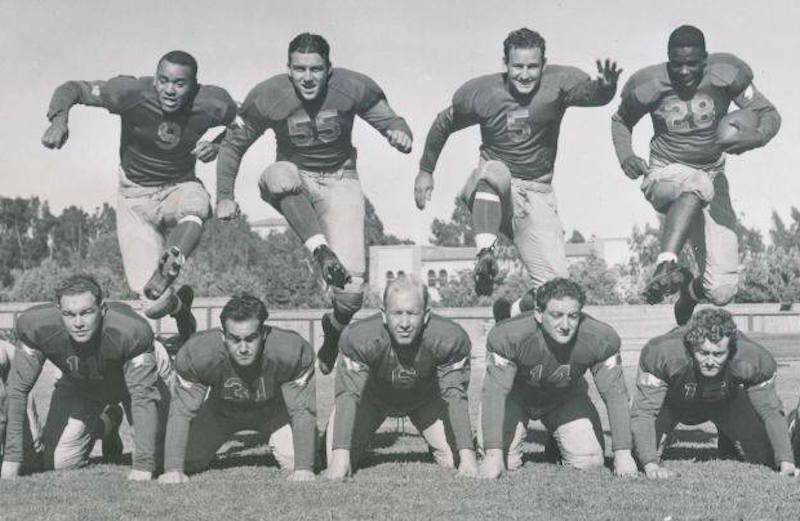 Robinson was a four-sport star, excelling at football, baseball, basketball and track, at Pasadena Junior College in 1937 and 1938 and then at UCLA in 1939 and 1940. The stories I saw about the unveiling of the football statue mentioned that Robinson played many games at the Rose Bowl and that his 104-yard kickoff return there is still thought to be the longest touchdown run in the history of the storied stadium. I thought it would be fun to find a newspaper clipping about that run and set out to hunt one down. 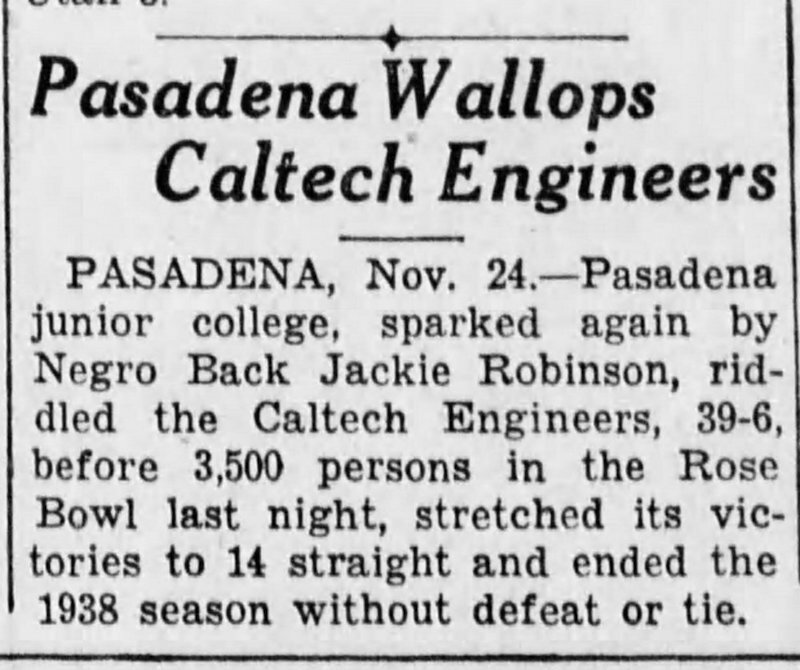 Generally speaking, the many books and articles written about Robinson over the years seemed to agree that the play happened during the final game of Pasadena’s perfect 11-and-0 season in 1938. 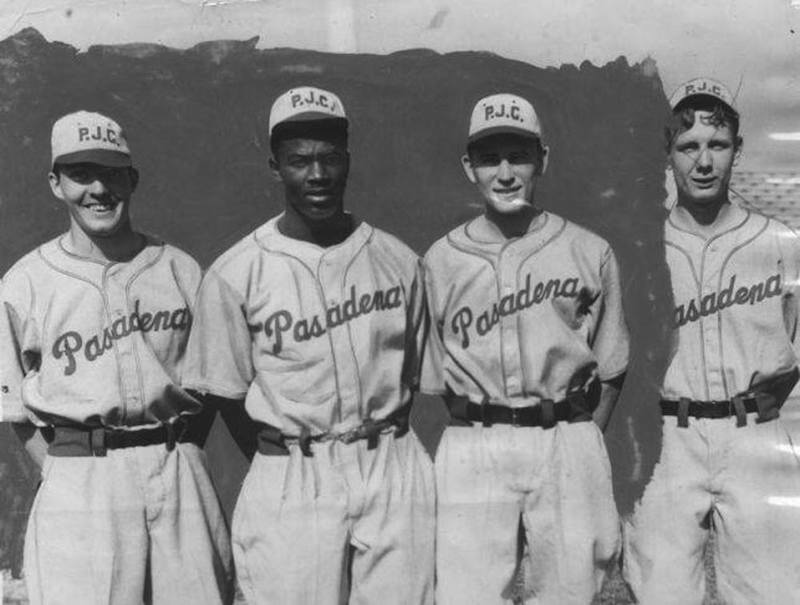 Jackie Robinson and teammates with he Pasadena Junior College baseball team. Jackie Robinson was a remarkable athlete, and football may well have been his best sport. He played quarterback and safety at Pasadena Junior College and during that undefeated season in 1938 he rushed for over 1,000 yards. Older sources say he scored 17 touchdowns, but newer research claims he had 18. Robinson also threw seven touchdown passes, kicked one field goal and converted many of his team’s touchdowns too. In all, he scored 131 of his team’s 369 points. So, I figured it wouldn’t be too hard to find evidence of a 104-yard touchdown run. Then again, Robinson was playing at a Junior College in an area of the United States with more universities than anywhere else. 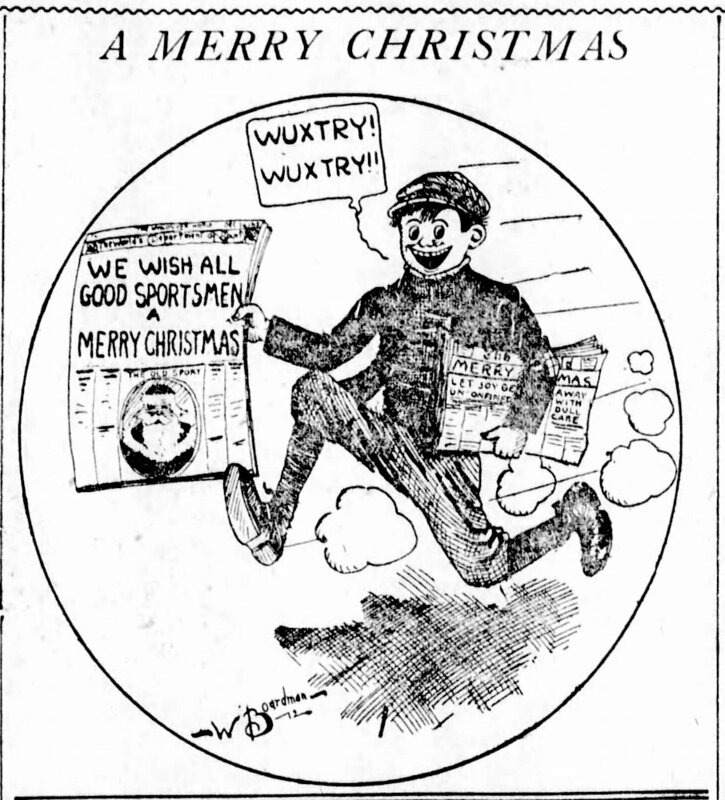 His games did get covered in many of the California newspapers I can find online, but there’s not always a lot of detail. 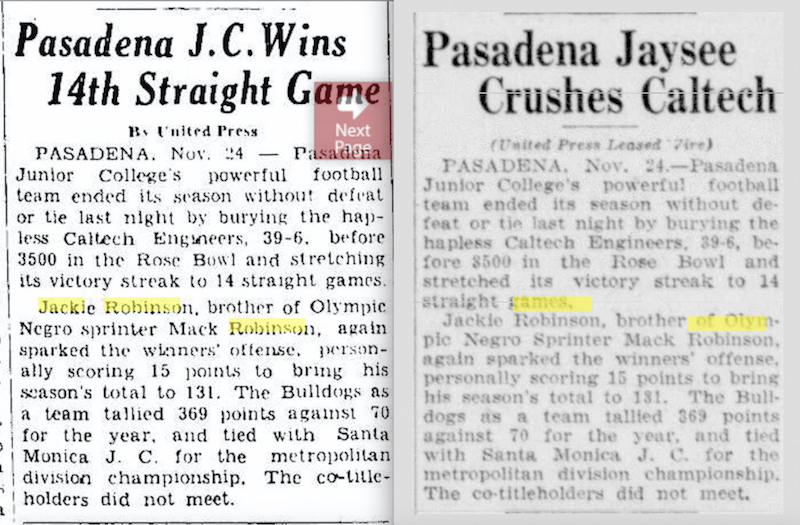 There’s likely more in a Pasadena paper hiding in a library somewhere, but I couldn’t find much from the 39-6 win over lowly Cal Tech on Wednesday night, November 23, 1938. There’s nothing about a 104-yard touchdown, and though I’ve seen stories and books putting the attendance anywhere from 18,000 to 30,000 that night, the newspapers I’ve found show only 3,500. United Press stories on the Cal Tech game from newspapers in Berkley and Bakersfield. Beyond that, the next mention I could find of Robinson running for a 104-yard touchdown doesn’t appear until an April 12, 1977, story in the Los Angeles Times marking the upcoming 30th anniversary of Robinson’s Major League debut with the Brooklyn Dodgers. Shav Glick knew Robinson personally. They both attended Pasadena Junior College together. Glick first started reporting sports in Pasadena as a 14-year-old in 1935 and wrote his final column for the Los Angeles Times in January of 2006 at the age of 85. He was likely at the Cal Tech game, and may have been writing from memory, or from old newspaper stories he himself had written and saved. He may well have written that recap from 1939. Brief coverage of the Cal Tech game in the San Bernadino County Sun. Jackie Robinson wore #28 while playing football at UCLA. At this point, it seems impossible to know for sure, but I’m leaning towards the fake punt rather than a kickoff return. If anyone knows of a detailed, first-hand account of the game, I’d love to see it.